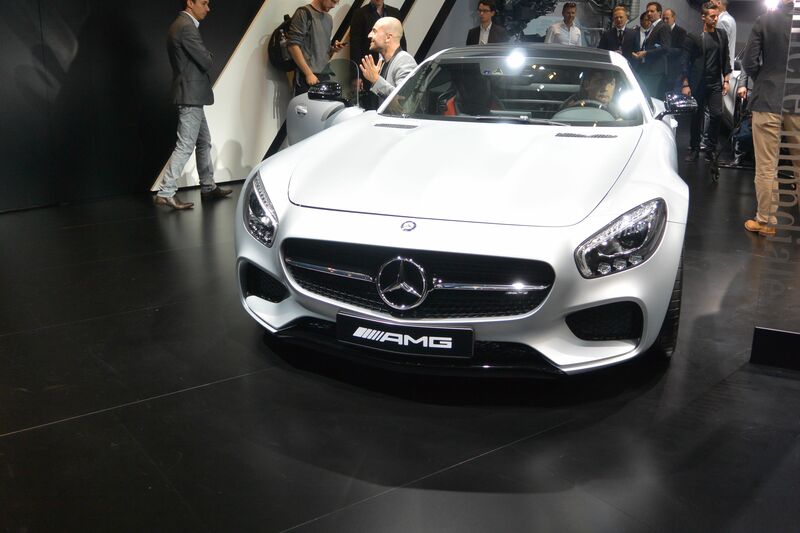 From October 4th to 19th the Mondial Paris Motor Show took place. This show is one top tier events in the automotive world and is held every two years. Some numbers: 265 brands, over a 100 new cars, 40 press conferences and an astonishing 1.253.513 visitors. No wonder all major car manufacturers make an effort to present their best with the latest design and also with the newest and greenest technology. 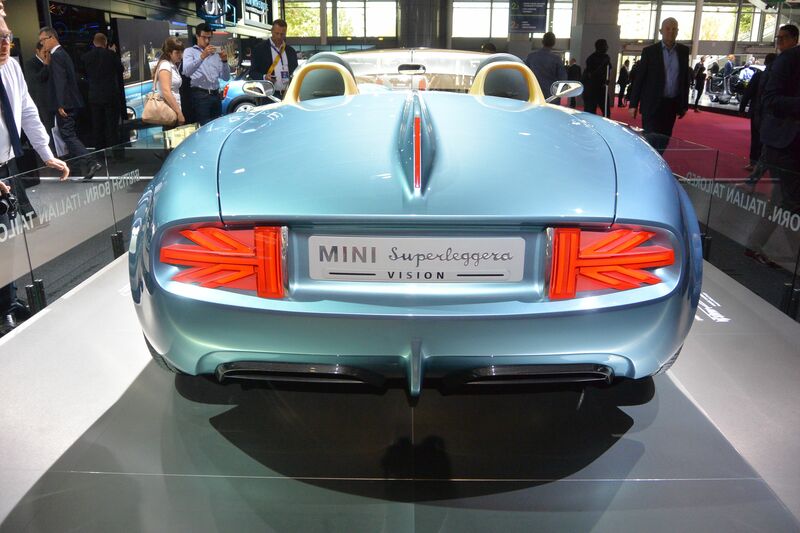 The Mondial de l’Automobile, as the French officially name it, showed this year a mood of optimism and lightness. The 100 new cars fall roughly two categories. There are the ones which you can await in the showroom of your dealer in the coming months, and the ones that are concept cars that stir the imagination, but that will never be produced. Compared to the 2012 edition optimism is everywhere. Citroen even displayed it in writing in their booth “OPTIMISM-FEEL-GOOD-POSITIVE”. In 2012 electrification was the common denominator in the show. Sport cars, city cars, luxury cars, it seemed that everything was going to be electric, hybrid or plug-in hybrid. It was almost like a do or die for a manufacturer. But as always the future is never set in stone. Manufacturers like Renault, Nissan, Tesla and BMW actually did gave us electric vehicles. Opel, Mitsubishi, Volvo, Toyota and Volkswagen brought us plug in hybrid vehicles. In some countries, like The Netherlands, plug-in hybrids are a success. In Norway electric cars do have a dominant market position, and Californians like them, but every else in the world the electric uptake did not take as far as expected. 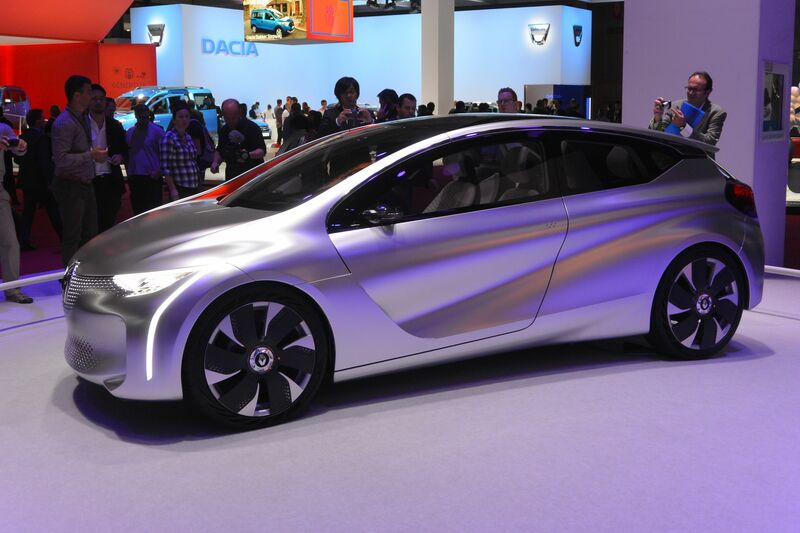 Renault, which was showing off two years ago with a range of electric vehicles like Zoe,Twizy and Kangoo, just left in 2014 little space of its booth dedicated to electric cars. This year’s edition of the Mondial makes it very clear how electrification will land in the automotive world. Plug in hybrids will be the way forward in high performance and luxury cars. 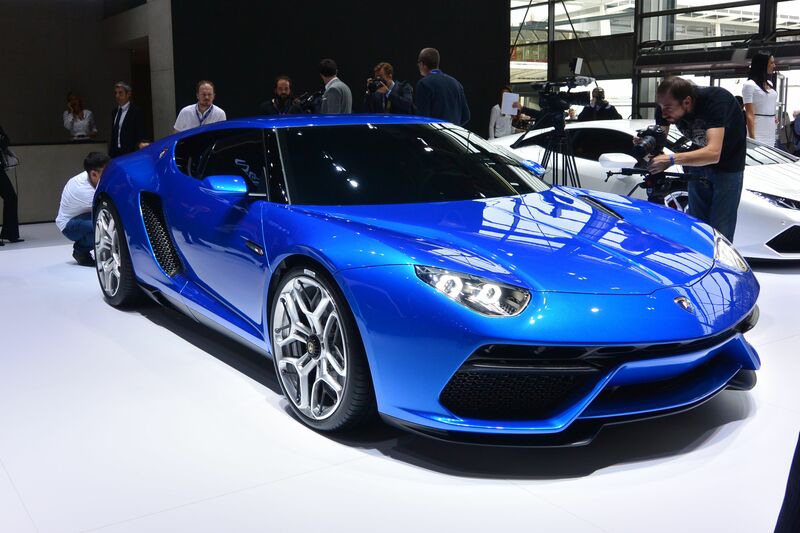 This year Lamborghini introduces the Asterion, a plug in hybrid GT cruiser with 907 bhp. It joins the EV-plug-in supercar league of the Porsche super e-Hybrids, McLaren P1 and (La)Ferrari. 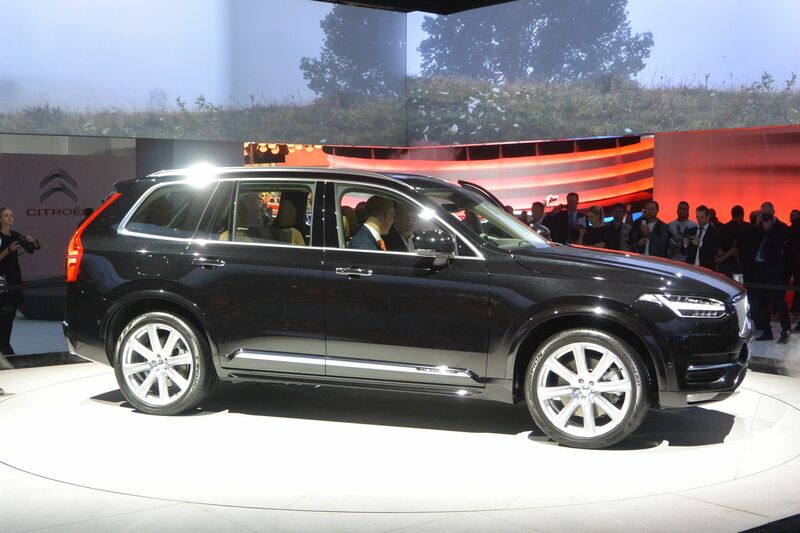 Volvo introduces its new XC90, a premium SUV, which will is kicking off a range of new Volvo’s to come. The top spec model is a plug–in hybrid. It combines a four cylinder engine with electric motors and has over 400 bhp. In the previous version of the XC90 the top of the line model was equipped with a gas-guzzling V8. The change could not be more eminent. Plug-in electric is the new premium, it is status. And as with all premium technology it will drill down into more popular models at some point in time. The fact that plug-in hybrid is popular as a replacement for large engines find its origin in the fact that emission demands are becoming tighter by the European Union. On the other hand the acceptation of a plug-in hybrids by consumers in the premium segment, must have something to do with demographics as well. There is no sound research but in a dense populated country like the Netherlands only the affluent are the ones who own premises that enable the owner to install a charging station. In the coming years, maybe decades, manufacturers will remain applying simple fossil fuel technology in market entry cars. Otherwise the price of the car would become too high. For instance the Citroen C4 Cactus is fresh and new. It offers clever solutions for today’s problems people have with their cars. It offers protective rubber inlays on the doors, a well thought out interior and dash, and smart tablet style instruments. As a drive train it offers nothing electric, just a small 1.2 liter 3 cylinder petrol engine, which keeps it price at the lower end of the market. For a manufacturer aiming at high volumes, it is nothing but a clever strategy. The optimism can also be found in the fact that manufacturers dare to introduce big cars again. In past years downsizing was the trend. Small(er) cars with smaller engines. The biggest news from Renault is their new Espace, a full size family MPV. Kia’s biggest news is the third generation of their full size SUV Sorento. Ford waited a while in Europe to launch the new Mondeo, but now even shows a premium version of the car labeled Vignale. It is a new attempt of Ford to makes sales with a large and premium priced car since the 90s when the brand had the Scorpio in their lineup. 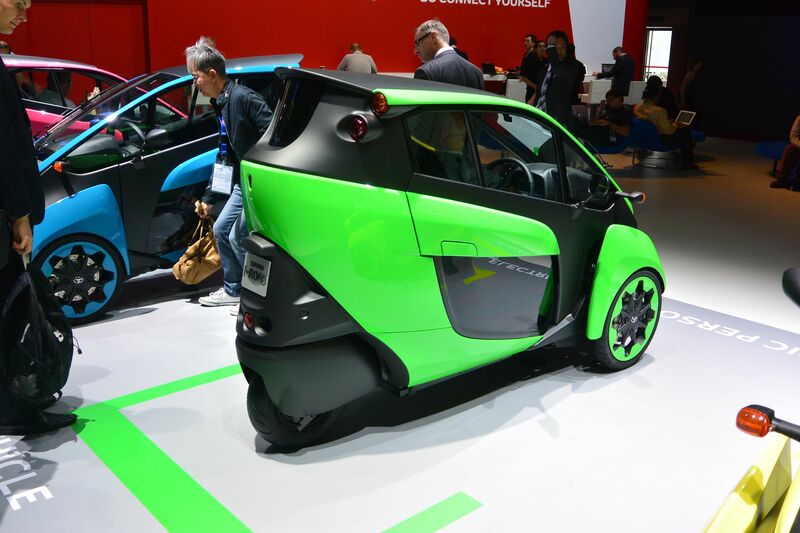 At Toyota we can find even some extravanganza with their iRoad in spectacular colours (The iRoad is a small electric two-seater used in a car sharing test in Grenoble) and models that catch the eye with remarkable clothing. 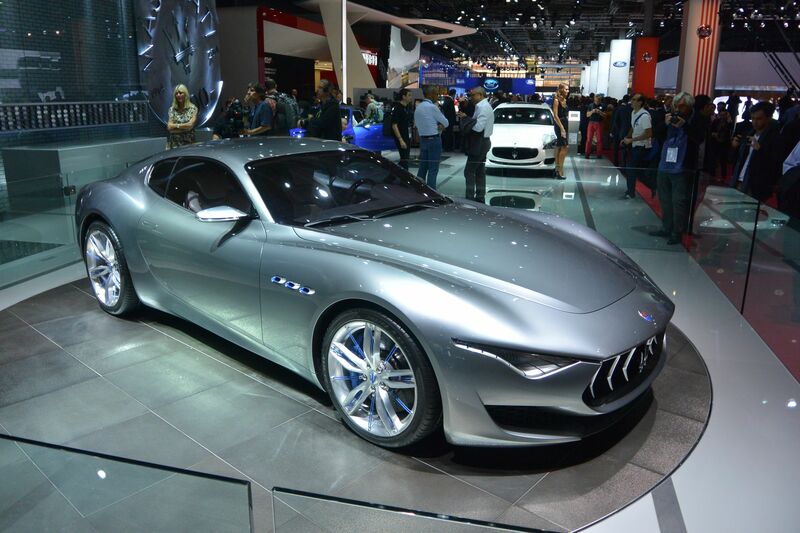 Maserati Alfieri concept is the brand’s homage to its sports heritage and it is the future of Maserati design. 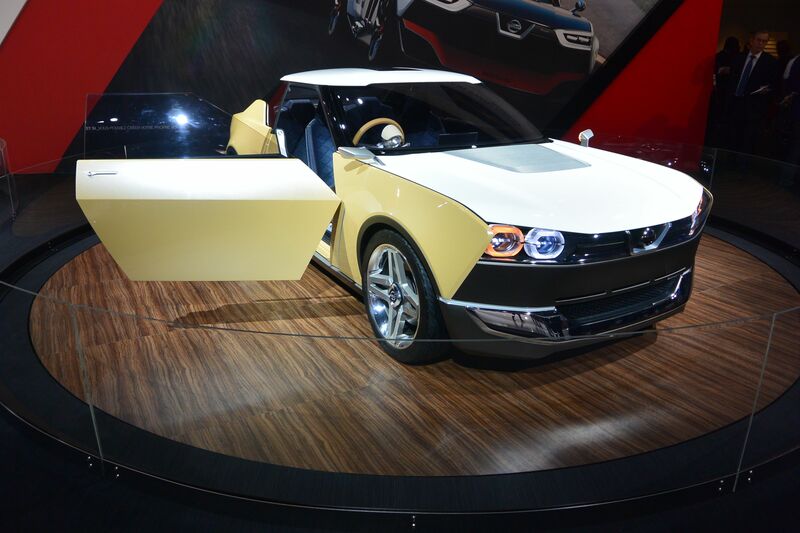 Nissan IDx, for the first time seen at an European Motor Show. 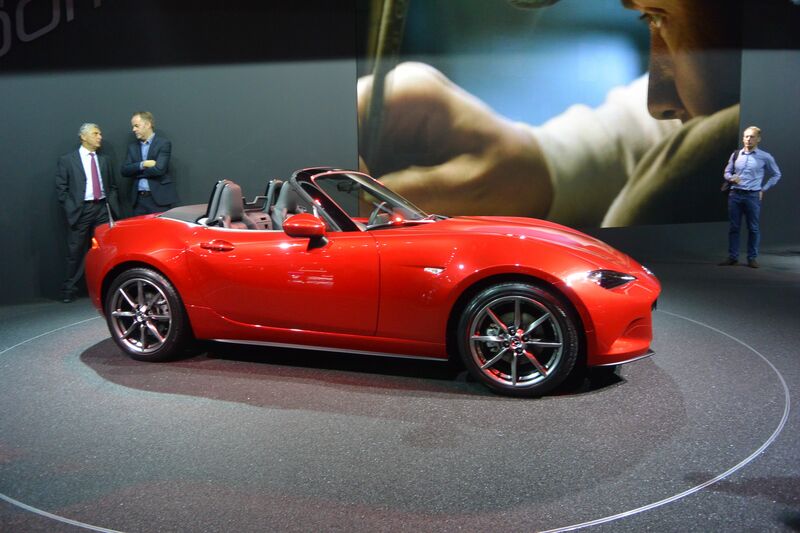 4th generation Mazda MX5 / Miata. 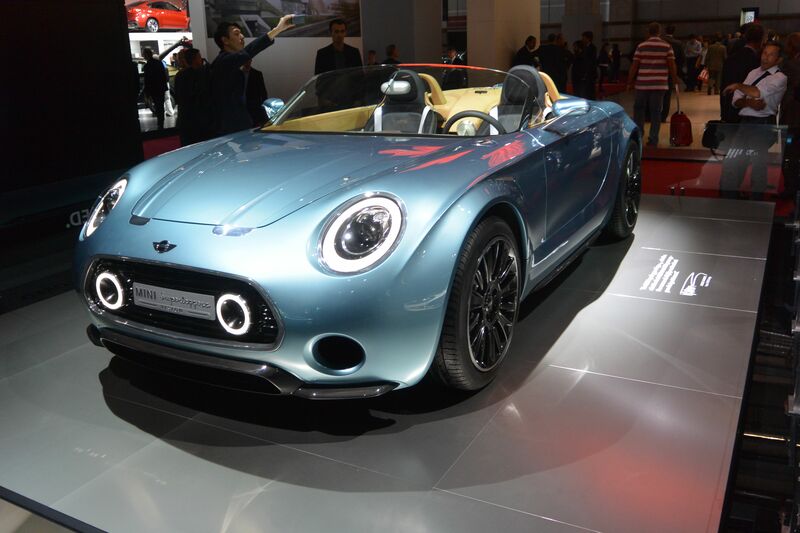 The MINI Superleggera: traditional MINI design combined with the sensational styling of Italian coach builder Touring Leggera. Electric powered. 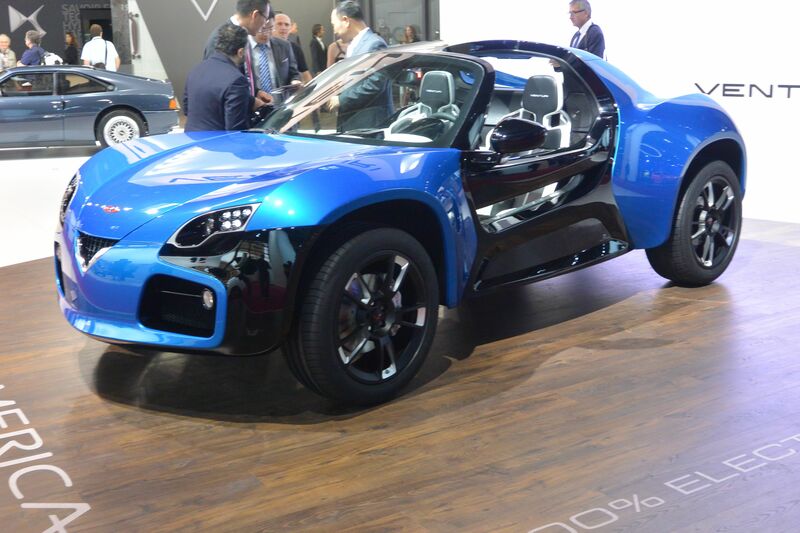 Venturi America A 400 HP Electric Cross Over. 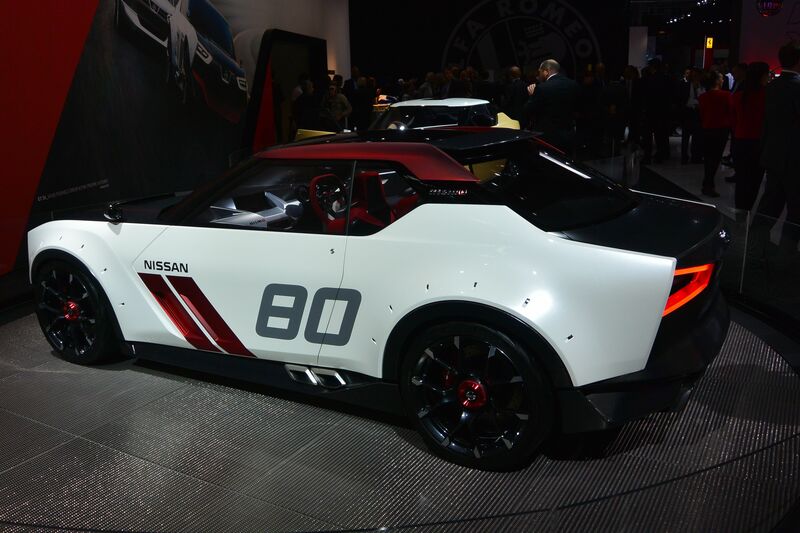 This entry was posted in Automotive Industry, Cars, Trends and tagged Electric Vehicles, EV, EV sales, EV's, full electric cars, Nissan, Toyota, Volvo by Huib Stad. Bookmark the permalink.